From Friday, September 2nd until Friday, September 9th the free KTQ50 film is A Good Man (2011). "An unusually intelligent, thoughtful and well-constructed examination of an artist and his work, this film succeeds in illuminating both... crammed with ideas and information as the artwork, but it deals evenhandedly with both concept and craft, and will be revelatory to many with regard to what it takes to bring an huge stage work to life." A Good Man follows acclaimed director/choreographer Bill T. Jones (Last Supper at Uncle Tom's Cabin, Still/Here, FELA!) as he and his company create their most ambitious work: an original dance-theater piece in honor of Abraham Lincoln's Bicentennial. Through two tumultuous years, we witness both raw moments of frustration as Jones struggles to communicate his vision to dancers and collaborators, as well as moments of great exhilaration when movement transcends the limitation of words. Jones and his company come face to face with America's unresolved contradictions about race, equality and the legacy of our 16th President. Initially an indictment of The Great Emancipator, the work evolves into a triumph of hope for our struggling democracy, with Jones revealing that Lincoln was "the only white man I was allowed to love unconditionally." Premiering on the heels of Jones's Tony Award for FELA! and 2010 Kennedy Honor Center, A Good Man is a window into the creative process and, indeed, the creative crisis of one of our nation's most enduring, provocative artists as he explores what it means to be a good man, to be a free man, and to be a citizen. The highly anticipated performance piece and Jones' portrayal of Lincoln was deemed: "Likely to scandalize as many people as it delights" by The New York Times. The film had its world premiere at the Full Frame International Documentary Festival, and was an official selection at the SilverDocs Film Festival, the Southern Circuit Film Festival and the DOXA Film Festival. Slate Magazine called the film "A remarkable testament to the creative process." 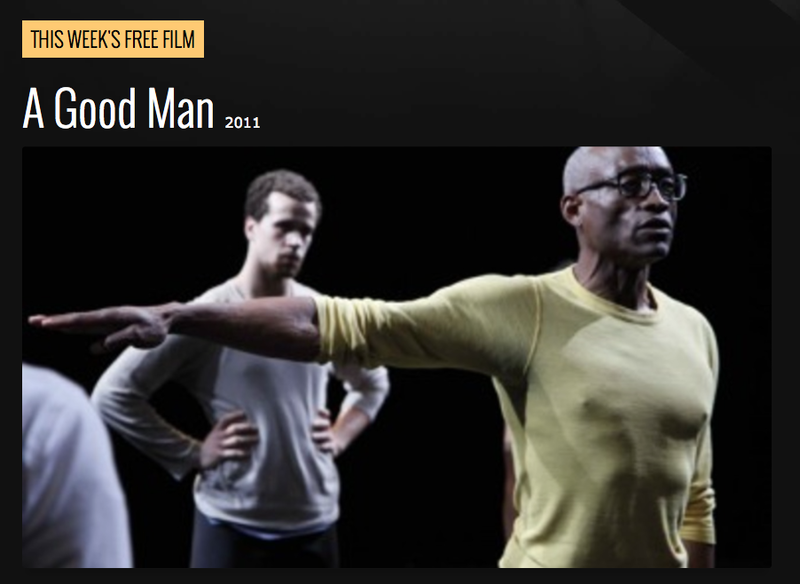 View exclusive videos, interviews and background materials on the Bill T. Jones: A Good Man American Masters website. A Good Man is available for purchase on DVD here. Kartemquin will be streaming a new film each week in honor of the film collective's 50th anniversary celebrations. Find more events and screenings celebrating #KTQ50 here.